At the Law Office of Mark Keller, we have over 80 years of experience handling drug crime cases in New Mexico and are licensed to practice at both the State and Federal level. We understand that the impact of a drug conviction can be severe and longstanding. Our criminal defense lawyers will help you fight your charges with aggressive representation and skilled defense. Possession refers to the having the drugs on your person or property. If law enforcement discovers more than you would expect for individual use, they might charge you with Possession with Intent to Distribute, which carries a more serious sentence. Trafficking refers to the pick up or delivery of a controlled substance, even if you are not selling the drugs. Distribution refers to the possession of large quantities of drugs in addition to evidence that the person is selling the drugs. Did the officer tell you why he stopped you? Did the police obtain a search warrant? Was it properly executed? Did they have authorization to search you or your property? Under the protection of the United States Constitution, you always have the right to refuse consent to a search. However, law enforcement may manipulate the situation to make their search seem more legitimate. When you call an experienced criminal defense lawyer at the Law Office of Mark Keller, we will immediately start building a strong case on your behalf. 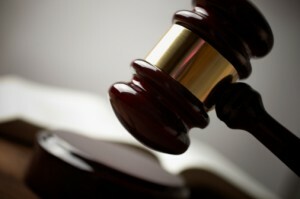 Our attorneys will work tirelessly to protect your rights and fight to obtain the best possible outcome for your case. If you are facing the charges of a criminal drug offense, you may need the help of a drug crime attorney. If convicted, you may face penalties like incarceration, weekly drug testing, probation, and counseling. For a free consultation, contact an experienced drug crime attorney at the Law Office of Mark Keller. Call (505) 842-1440 to schedule your free consultation and speak with an experienced Albuquerque drug defense attorney.